Be part of the fleet at the Loro Piana Superyacht Regatta held June 7 - 11 and race against some of the most remarkable superyachts in the world. The regatta opens the Mediterranean superyacht calendar, attracting a selection of modern and classic, performance and cruising yachts for four days of exhilarating sailing. Enter online now. 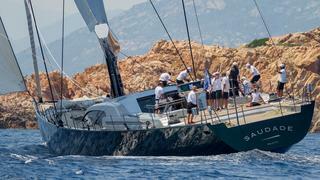 The fleet now stands at 27 superyachts with 2015's winner Saudade (45.2m, Wally) being a recent registration. She joins last years competitors WinWin (33.4m, Baltic), Grande Orazio (24.7m, Southern Wind), Gaia (30.6m, Spirit Yachts) and Inoui (32m, Vitters). Fresh from the Loro Piana Caribbean regatta comes Ganesha (46m, Vitters), Maegan (24.2m, Oyster) P2 (38m, Perini Navi) and World Superyacht Awards 2016 nominee Unfurled (46m, Vitters). New yachts to the regatta are Ammonite (24.7m, Southern Wind), Firebird (25.5m, Oyster), Seawave (31.8m, Southern Wind) and Tempus Fugit (27.4m, Arkin Pruva). These registrations join the Wally Class racing circuit which includes Galma (28.5m), Indio (30.5m), J One (24.2m), Kenora (32.7m), Lyra (24m), Magic Blue (29m), Magic Carpet 3 (30.5m), Nahita (24m), Open Season (32.6m), Ryokan 2 (24m), Tango G (24m), Tilakkhana (24m) and Y3K (30.5m). We are delighted to announce Baltic Yachts are supporting the regatta as an Event Associate. Baltic Yachts are an independent yacht building company firmly rooted in Ostrobothnia on the west coast of Finland. Their mission is to build faster, stronger and lighter superyachts with a strong emphasis on custom and flexibility, shown in case with WinWin. We are proud to have their support as a sponsor of the regatta. 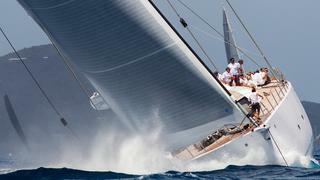 The event welcomes sailing yachts with an LOA over 24m / 80ft. Don't miss being a part of this prestigious regatta and register your interest now.